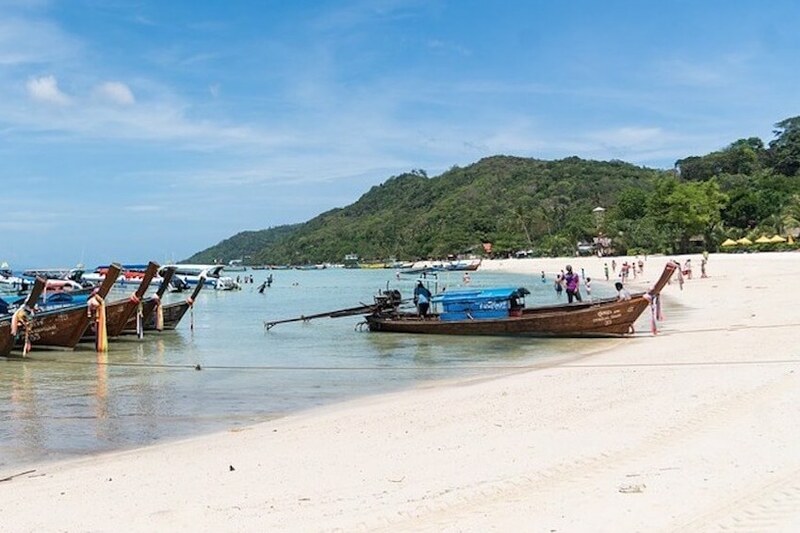 In 2013, Villanovo opened a new destination: Thailand with Phuket as a flagship island, seaside flagship in the South of the country, in the Andaman Sea. The island is very mountainous especially in the West, the highest point is Mai Tha Sip Song at 529m. The temperatures oscillate all year round between 25 and 35°C. Rainfall is greatest during monsoon periods, from May to October. Nicknamed the "Pearl of the South", Phuket is Thailand's richest province, with its economy based on tourism, rubber, cashew and tin. The island is very large and can accommodate very different activities to match the desires of all types of tourism: from the most adventurous to the most luxurious, in search of exoticism or idleness on beautiful beaches. Phuket is Thailand's first dive centre and a popular destination in the world for its seabed. 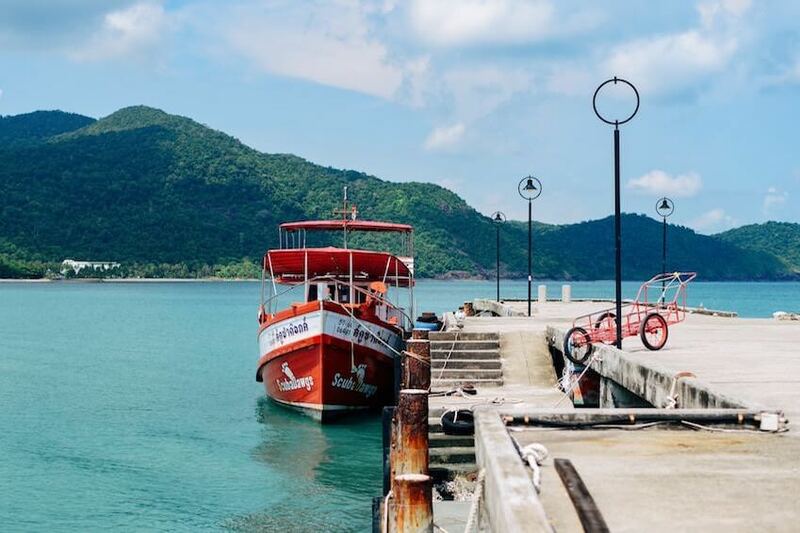 The small islands to the South such as Ko Hae, Ko Raya (Noi and Yai), Hin Daeng and Hin Muang (called Shark Point because it is home to harmless leopard sharks) are remarkable sites for snorkelling and diving. It is possible to organise longer excursions to the Ao Phang-Nga Islands and the famous Surin and Similan Islands. The ideal dive period to enjoy clear water and good crossings is from December to May, it is possible to dive outside this period but the weather will be less lenient. Boating is also particularly accessible from Phuket. Many marinas have emerged and you will have the pleasure of sailing on all kinds of boats (from famous wooden sloops, traditional boats of the region, to the most prestigious motorboats). Sea canoes are one of the most unusual excursion possibilities. The area of ​​Ao Phang-Nga is full of semi-submerged caverns very difficult to reach except with these boats. The long stretches of white sand or rocks are worth a visit and are enlivened by a real nightlife with colourful markets and restaurants. Some beaches are quieter (Nai Han and Kamala), others may be deserted (Nai Yang, Nai Thon, Mai Khao). The big beaches are on the West coast of the island. Patong Beach is better suited for party-goers than for those seeking tranquillity: there are many restaurants, nightclubs, cafes and beer bars along the beaches. Kata Beach allows you to swim to the small island of Ko Pu through coral reefs. Snorkelling is facilitated by the equipment rental shops available. It is also home to the island's best restaurant at the Southern end of Kata Yai, The Boathouse Wine & Grill. Recognised wine list, evening seafood buffet, impeccable service and family atmosphere are on the menu! Phuket Fantasea is a cultural theme park North of Hat Kamala. The show is truly fabulous, combining the splendour of traditional Thai costumes with high-flying sound and light. The scene is based on a Khmer temple (resembling the temple of Angkor). 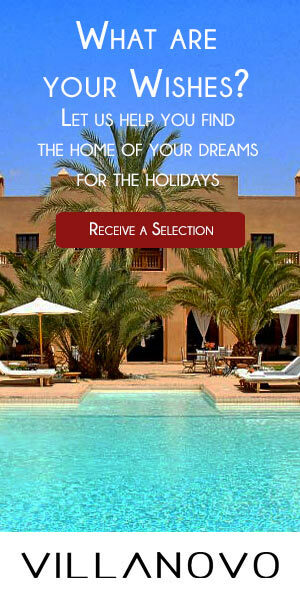 It is the ideal place for a family outing: activities, festivities, dinner buffets, craft shops. Surin Beach is famous for its seafood appetizers sold on the beach. You can enjoy them after enjoying the beautiful waves of the beach. North of Surin, after the cape, the long sandy beach of Ao Bang Tao has an 18-hole golf course. Windsurfers have been playing their sport on this beach with such fervour that it has become the site of the Siam World Cup since 1992. 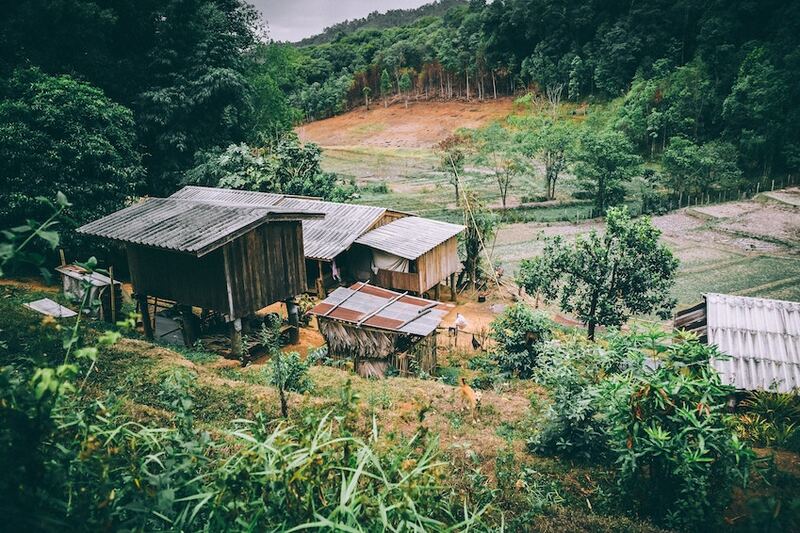 In the centre of the island, the plantations create a unique and sublime landscape: rice fields, plantations of rubber trees, cashew nuts, cocoa, pineapple and coconut. Elephant rides are organised to visit the centre of the island, the walks are really very nice, and we would go so far as to say that elephant transport is more comfortable! The Royal Khao Phra Thaw Nature Reserve in the North of the island is home to 23 square kilometres of monsoon forest. Beautiful excursions are possible and during the monsoon season you can discover the ephemeral waterfalls of Ton Sai and Bang Pae. The protected fauna consists of gibbons, different varieties of other monkeys, slow lorises, civets, fruit bats and squirrels but also cobras and wild pigs. You can make this visit with the help of a ranger (guided tour on request at the Phuket Gibbon Rehabilitation Centre) and symbolically adopt a gibbon bred in captivity before reintroduction into the jungle. 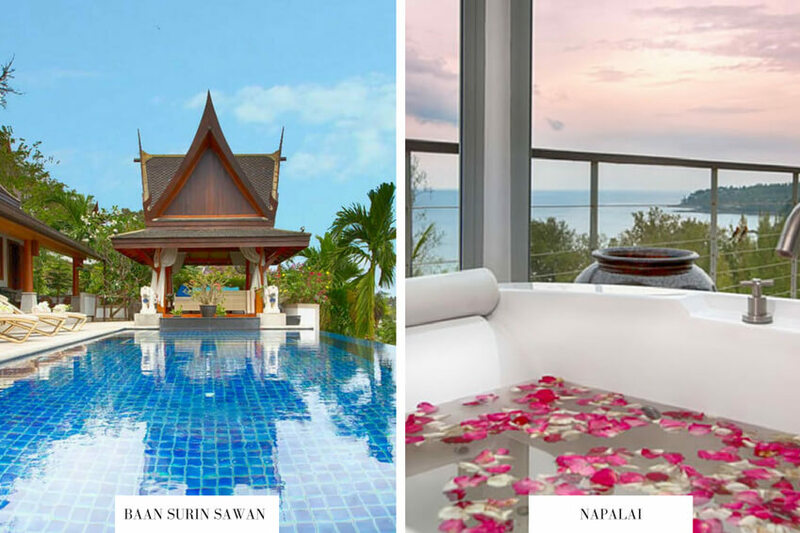 Ideally located to enjoy the beaches of the West of the island and the inland easily, Villanovo have chosen to offer a selection of villas in Surin Beach. Villa Napalai is set in a private hillside estate with views of Surin Beach and the Andaman Sea. The villa offers an outstanding selection of services, billiard room, gym, bar, many lounges, a play area for the little ones, a spa room, an infinity pool and a very pretty garden. The 4 bedrooms that make up the villa have a private bathroom and can accommodate up to 8 people, the lounges and games rooms are equipped with a TV and audio system of very high quality. Everything you need to accommodate young children is at your disposal.